An expense process is about more than just expense reports. It includes all things expense-management related, from defining compliant reimbursements, a travel policy, approval processes and everything in between. A process that follows industry best practices creates an overall positive employee experience, as well as saving time and money. Even if you don’t have an existing documented process, there likely is still “the usual” way your staff submits, processes and reimburses expenses. The implied process can work for a while, but as your company grows, you’ll need to get more formal about it. An outdated, confusing or non-existent expense process will not only leave your employees feeling lost, but also bring with it misguided expense reports, incompliant expenses and delayed reimbursements. If your employees feel like they need a map to navigate expense management, then it’s time to reevaluate. Giving your expense process a thorough review offers insights into what your employees face every time they travel for work, submit, review or approve an expense report. That's not to mention what your finance team is up against with reimbursements and forecasting. What information could be clearer? Where do you need to go for information? Which steps take too long? Is there opportunity for fraud? Any areas of ambiguity in your process not only create confusion, but also open up opportunities for fraud. While no one likes to think of their employees taking advantage of them, it does happen. By ensuring your expense process is clear and that all players (those who review and approve expense reports) know the rules and how to spot red flags, you decreases the chances of fraudulent claims. Once you’ve figured out where the stumbling blocks are in your existing process (written or not). Plan critically for how you can improve that process. Technology can help. With new tools available every day and mobility entering the workplace, your process should take advantage. Mobile apps improve workflow by allowing your employees to submit expenses while on the road and giving your finance team access to real-time expense information. Automated spend-management tools make approvals easy and build in-policy compliance so you never have to hear the dreaded “fraud” word. Without a doubt, saving time equals saving money. But how does your expense process come to play here? For starters, if your process is unclear or creates bottlenecks, this leads to unnecessary time being spent possibly re-creating expense reports, digging through stacks of receipts, multiple rounds of review and a whole lot of frustration. This is a lot of unnecessary time being spent running in place. Still not convinced it matters? If you think all those steps and repeat steps just take minutes, think in terms of a lawyer and billable hours. All these minutes being spent adds up to hours, which by the time you calculate the hourly wage of all players involved, adds up to quite a bit of money. Streamline your process, and your bottom line will thank you. A clear, easy-to-follow and current process does more than save employees time, it also circles back to the fraud issue mentioned previously. Large or small, fraudulent expenses add up. Enough said. There is no time like the present to take control of your expense process. 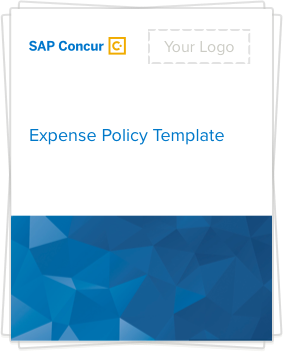 And SAP Concur is here to help, with the resources you need to ensure your expense process is following all best practices from start to finish. To learn more, download our eight tips for a best-practice expense process.